During the course of this past week, I’ve watched the story unfold of the raid on the Associated Press (AP) by the Department of Justice. The Justice Department obtained records for 20 different phone lines (both work and personal) from AP personnel. Under the law, when it comes to a media entity, the Justice Department is to give the media organization advanced notice of a warrant or subpoena unless it is felt that doing so would jeopardize the investigation. In this particular case, the AP was not given advanced noticed. So what in particular was the Justice Department looking for? They are investigating a leak in the department to the media. The investigation started after the AP ran a story last May about a counter-terrorism investigation in Yemen. I’m not here to state that this is a scandal and that something illegal was done. This is for investigators to seek out and for Congress to question. Yes, we in the media have the right to question, as well. But these answers, along with all the factual information, have yet to be released. So it would be unwise to jump to any conclusions without all of the information that is needed to form an opinion on these instances. Congress has told the Obama administration repeatedly that it needs to stop the leaks of information related to national security. With the AP raid, however, Congress is not only calling into question its legality but also if the Justice Department went too far to stop the leaks. During a recent appearance on Capitol Hill, Attorney General Eric Holder (who had recused himself from the leak investigation prior to the raid at the AP) said the leaks warranted a strong response from the federal government. Some members of Congress, including Rep. John Conyers (D-MI) has said a media shield law would have been needed in this instance to prevent this from happening. Such a law has been proposed but has been defeated in the past. And as each congressman has stated this claim, they have not taken notice that in the particular piece of legislation, a national security investigation would have been exempt. Since 9/11, the Patriot Act and the National Defense Authorization Act (NDAA) have often made broad exceptions to the law in terms of national security. 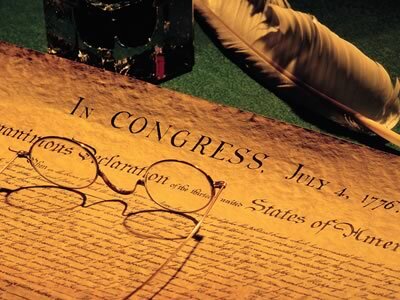 The Founding Fathers included within the First Amendment to the Constitution our right to freedom of the press. As each branch of government was a check on the others, the press was given the freedom to check on all of them and to make those answer to the public. State-run media only propagates the government’s actions to make the public believe such actions and laws are necessary. The press of our new republic needed and required freedom from government censorship in order to keep the government in check rather than the people. Without the ability to know information… without the ability to question our elected leaders… then democracy can’t survive or progress. It will just deteriorate into despotism. As stated in the Stevenson quote above, freedom of the press is essential to any democratic (or republican) form of government. The final say should always lie with the people, and the people have the right to be informed. The raid at the AP does seem excessive. Surely, there were other ways to find out the necessary information. One of the biggest assets with our press is the ability to speak anonymously. Could people now fear that this is under threat? That their cover could be blown? Yes, we should not have leaks in regards to national security… unless there is wrongdoing. However, could this raid have a trickle down effect that could keep people from talking on any range of subjects? Without the ability to keep people’s identity secret, the press would have a difficult time doing its job. In its quest to find a government leak, what else could the Justice Department uncover during its search of the phone records? Wouldn’t that be classified under a privacy violation? In regards to a government leak, this is not the media’s problem or responsibility. This is the responsibility of the government to find it on its own end. This does not mean that a journalist cannot be called in front of a grand jury if required to do so. In Branzburg v. Hayes (1971), the Supreme Court ruled that the First Amendment did not protect a journalist the right to refuse a subpoena by a grand jury. However, this is a particular individual and not a raid of an office and obtaining information from several different journalists… both work related and private. Though the government did at least have a subpoena for the records, they still need to walk the fine line between national security and freedom of the press. They need to remember that that particular burden falls on them and not upon us. In the meantime, I shall continue to watch as this unfolds. The freedom of the press is vital to our society, to our government, and to our nation. We cannot allow it to be trampled on. In the closing days of the 112th Congress, President Obama signed into law the National Defense Authorization Act of 2013 (NDAA) despite threatening to veto the legislation over prohibitions on closing Guantanamo Bay prison camp. Back in 2008, then-Senator Obama ran promising to close the prison camp there and even signed an Executive Order after being sworn into office doing just that. The problem? No one wanted the people we were holding there in their states. In reversing course and signing the NDAA of 2013, the President said that it contained the budget for the armed forces… $633 billion. It might be worth noting that that wouldn’t have been necessary if the President and Congress had passed a budget. 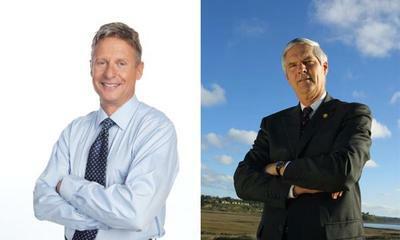 It’s a two-pronged effort since it must get through both chambers of Congress plus the president. However, neither side seems to be able to come up with one that is suitable. The last time President Obama submitted a budget, even his own party rejected it. 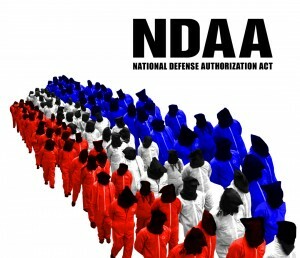 The NDAA is nothing new. There has been one the past few years. At the end of 2011, Congress passed the National Defense Authorization Act of 2012. This is the same Congress that passed the one for 2013, as well. It is a huge document that most people really paid no attention to when it was signed into law. However, there are some parts to the legislation that the citizens of the US should be greatly alarmed at… in particular Section 1021, (b-2). This particular part of the legislation gives the President of the United States the right to be judge, jury, and executioner of any American citizen living overseas that the president sees as a threat to our country. Let me reiterate that… judge, jury, and executioner of any American citizens living overseas. American citizens, regardless of where they live, are protected by the US Constitution when it comes to US laws. This is clearly a violation of the 5th Amendment to the US Constitution, and it gives the president authoritarian power in terms of this. This particular thing has been legal since long before the NDAA of 2012. In fact, according to an article in the New York Times, this goes back to at least 2010, and the public (and the media) has paid no attention to it whatsoever. Imagine that you are a US citizen living in a foreign country. Yes, you are bound to follow the laws of that foreign country while you are living there, but you are also protected under the US Constitution. The President of the United States now has the authority to determine if you are guilty of being a threat to the United States and has the right to issue an order to have you killed. You do not get a trial and there is no jury of your peers. The president has sole authority without any checks and balances, and usually the person will be eliminated in a drone strike if it is possible. Let’s look at the case of Bradley Manning who is accused of leaking classified information to WikiLeaks. These included videos, diplomatic cables, and army reports. Manning is currently being held in Fort Leavenworth waiting for his trial in February 2013. He was transferred to Fort Leavenworth after several American legal scholars claimed that his detention at the Marine Corp Brig in Virginia violated his Constitutional rights. Now Manning is going to have a trial for his accused crimes. But the NDAA also sets up another dangerous precedent in that it would criminalize anyone who leaks anything and any journalist who receives a leak and publishes it. So now we have this same document violating the Freedom of the Press that falls in the 1st Amendment to the US Constitution. Yes, there is information that is classified as it would be detrimental to current situations. And yes, leaking that information is wrong and should be punishable… unless there is wrong-doing and leaking that information makes people aware and holds those perpetrating those wrong actions accountable. Regardless though, the government does not have any right to dictate to the press what it can and cannot print, and it has no right to hold any journalist accountable for printing any information that is leaked. In the election of 2008, then-Senator Obama ran against the Patriot Act that had been signed by President George W. Bush in 2001. Since then, he has expanded the Patriot Act and has signed off the National Defense Authorization Acts. The power that the government had that he opposed, he now supports and has expanded. According to The Atlantic, the military has the right to hold American citizens in indefinite detention without trial as terrorism suspects. The key words there, again, are “American citizens.” It would seem as though Congress is purposely going out of its way to bypass the 5th Amendment which was designed to protect us from this. 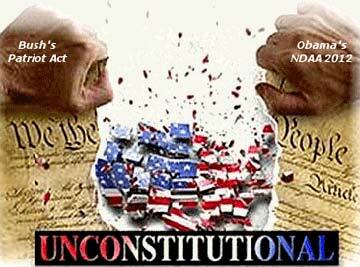 And President Obama is going along with it, and is the main person benefiting from the power the NDAA has written in it. It’s interesting how the Patriot Act (or previous National Defense Authorization Acts) didn’t get any attention in the previous election after it had received so much in the 2008 election. The NDAA allows the president to launch drone attacks where a threat is detected. In 2009, we were the sole owner of drones. Not so much these days. And since 2009, we have expanded the number of countries we are launching drone attacks in… some even without the consent of that country which means we are now violating international laws. If we aren’t careful, history just might remember this time period as The Drone Wars. We are setting a dangerous precedent with these laws and with our actions. At the top, no one person should ever have the authority… the sole authority… to be judge, jury, and executioner. The US Constitution says, “provide for the common defense,” but that is turning out to be the excuse that is used to strip away our rights and concentrate power at the top of our government. Our entire government was set-up to prevent that from happening, and we the people were given guaranteed rights to protect us from it. But here we are confronting that very thing, and most of us aren’t paying attention to even see it happening. President Obama has nominated John Brennan to lead the CIA, which the Senate must now confirm. Brennan helped shape the strategy for drone attacks and has sharply increased their use especially in Yemen and Pakistan.